In this Post: Learn tips, tricks, and safety considerations for outcalls, onsite massage, or mobile massage. 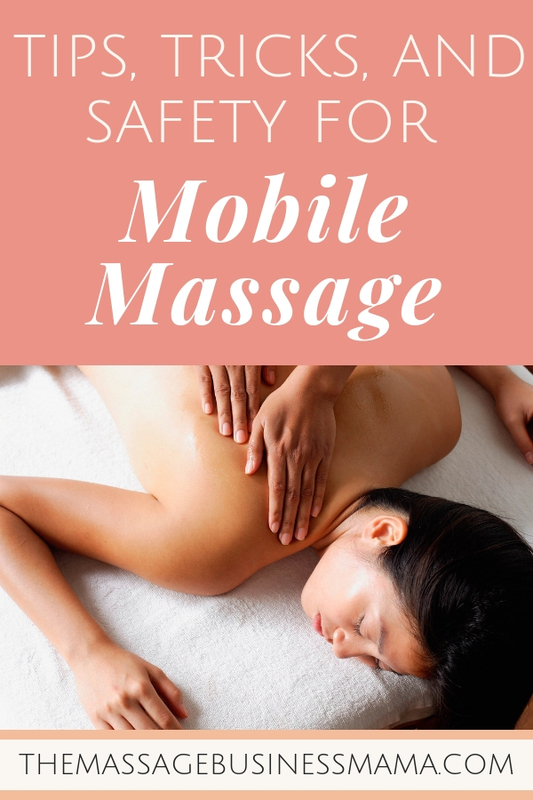 Do you offer mobile massage? Outcalls, onsite massage, or mobile massage where you actually go to your client’s home, condo, hotel, or place of business to give massage treatments. While it can sometimes feel like a pain to lug your table and not know if you will have adequate room to move around your table, – the rewards can be huge. At least the financial rewards can be huge. Elder massage is your gig. You want to get into corporate massage, either chair or table. You specialize in working with athletes or musicians, who want onsite massage. There is a lot of extra physical work involved with traveling to our clients. When we are young and vibrant, we may not realize how much work this actually is, but trust me after you have been practicing for a while you will feel the toll of lugging tables back and forth. Maybe shlepping a table is the last thing your body wants you to do, respect that! I had a therapist tear a muscle hucking her table into the back of her pickup. She was out of work for three weeks. I’m pretty sure the premium she made from doing this one outcall didn’t make up for three weeks of lost income! When people make requests to have you come to them, they are willing to pay a premium. Take advantage of this. They expect to pay more, so charge more! Think about the last time you felt really hungry and had nothing to eat in the house. Maybe you had a rough night the night before; you spent all night trying to get your baby to sleep, or you drank one too many. Whatever the case may be, I’m willing to bet you were willing to pay a large sum of money to have someone bring you a warm, delicious meal. This is the same with outcall massages. The client doesn’t want to be bothered to leave the warmth and comfort of their own dwelling to drive to you and then have to get back in their car after their treatment to drive home. Maybe this seems lazy or lavish to you, but again think about the last time you ordered food to be delivered. Remember how justified this purchase felt in your mind? I recently scheduled three days of outcall massages for a gentleman and his friends. The total came to $2200. There was no hesitation to relay his credit card for this hefty bill. To me, that is a ton of money! Like a ton, but to him it was nothing for the convenience of having therapists waiting for his group after long days of hitting the ski slopes hard. Remember that you can always offer discounts, but it is much harder to raise your rates after you have already established them. You may have clients offer to purchase a massage table. This way you don’t have to lug your table over every time you work on them, here is a perfect example of when a discount might be appropriate. Now all of this being said, outcalls aren’t for everyone. If you are still having a hard time establishing clear boundaries – DON’T DO OUTCALLS! If this describes you read my post How To Protect Yourself From Illicit Massage Requests. Feel out your client over the phone to make sure they understand you provide therapeutic massage only. You could even have a waiver for them to sign on your website that clearly states you are a professional therapist who does not offer sexual favors. Unless you have clear, established boundaries you shouldn’t ever consider mobile massage. It is important that you are comfortable saying no, trust your intuition, and present a professional image when you are practicing mobile massage. Wearing conservative clothing is always a good idea as a massage therapist, especially with mobile massage. Set up a system where you let someone know where you are going and what time they should expect you to check back in with them. If I ever feel at all uncomfortable, I will call a friend in front of the client. Saying something like, “I am at the Highmark unit 330, I will be leaving at 5:15, I will talk to you then.” This way the client knows someone is expecting me to check in at a particular time. Let the concierge or front desk know that you will be checking out with them at a certain time. Ask them to check in on you if they have not heard from you by a particular time. This works best when you have a relationship built with the hotel. Carry mace or bear spray with you in your travel bag. Noisy or distracting pets, phones, or kids. Clients are overly comfortable and may not treat your time with as much respect as if they were coming to you directly. More risk of illicit massage requests. Travel time eats into the potential to book more appointments. Think about whether outcalls are right for you, if you decide they are, here is a list of supplies to have ready for performing this type of massage. If you are considering getting into mobile massage I would suggest that you have a bag packed and ready to go, as well as a dedicated travel massage table. This way you won’t be searching to pull together all of your supplies as well as taking down your table every time you get a call. Traveling to our clients can be very lucrative! If you charge as you should. If you feel like your body can handle it, you have clear, established boundaries, and you enjoy seeing new locations, you may LOVE outcall massage. 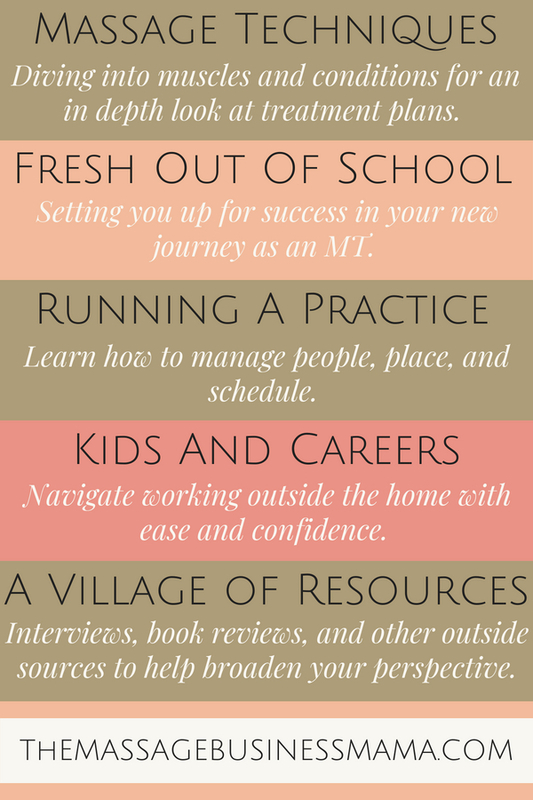 Maybe you find yourself gravitating toward this type of work for a season of your career. Then you get pregnant or have an injury, and it no longer seems as desirable. RESPECT the stage of life you are in and build your career around these stages.